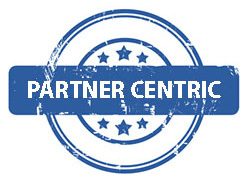 Right from the beginning WiJungle has been highly partner centric. They are our market makers. Hence we are looking for partners all across the globe. Join our hands in the exponential success of the product. Product Companies/Distributors/System Integrators can associate with us as a Channel Partners and can start selling the WiJungle products. 1. Highest Channel Margins in the product segment. 2. Zero Investment is required. 3. Most affordable inclusive market price (no module wise pricing), hence increasing the product adaptability. 4. Best pre and post sales services to the customers, including online training to every customer. 5. In depth sales and technical training to each partner followed by an online test. 6. WiJungle is just not Firewall or AAA server or Hotel/Airport Solution. Its serves all. 7. Most innovation driven product with features like autofeature update via cloud and many others.